Thanks for the fun giveaway & for introducing me to a new nautical source. 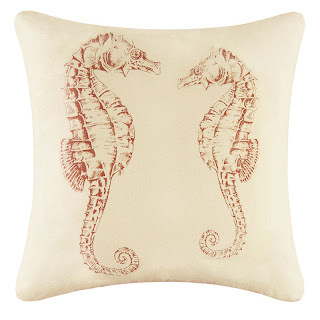 This would look great in my living room, with my lobster wall art and sea glass lamp! Sounds like it! You should send me a photo of your nautical living room! I love the respect one another art. I love the Chrysanthemum Placemats - they would go so perfectly in our kitchen. That throw pillow is perfect for my home office. PS enter my giveaway, too! Rats! Love the cushion but I'm in Aussie! I want the Montmartre Cafe' set- and the patio to go with it! !